If you have a lot of time on your hands, and don’t mind waiting over 45 minutes after ordering your food for it to arrive and like Voyage Kitchen Sorrento then this one is for you. We have been twice, once for brunch after a few days of it being open and enjoyed a good brunch however with an almost empty venue the food took 45 minutes to arrive. We returned for lunch at the end of September and waited 65 minutes after ordering mains for them to arrive. In fairness, the manager Krissy compensated us $19.00 worth of drinks off the tab however we needed to make it very clear that we felt this long a wait was completely unacceptable. The response “did you have somewhere to be?”. Comical. We hope -as does Fleur Bainger of the STM – that the experience for patrons is improved and taken more seriously. Have you been? Do you have another take? Leave your feedback below in the comments. Add YOUR photos of Isle Of Voyage Elizabeth Quay Perth to our online community by hash tagging #thefoodiehub on Instagram or Twitter and posting them to The Foodie Hub’s Facebook page. Or write YOUR own review! 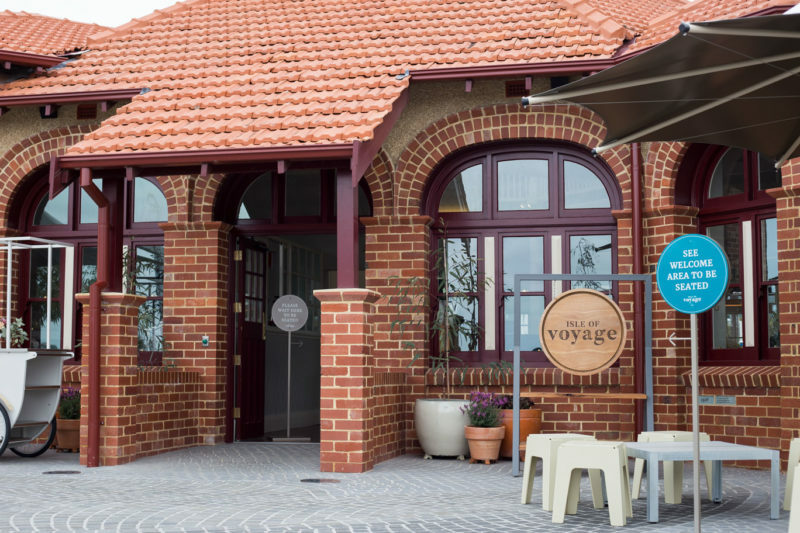 Leave a comment below and tell us what you thought of your experience at Isle Of Voyage Elizabeth Quay Perth!